Essential oils are powerful tools to use in supporting our health, and when are we more concerned about our health than during pregnancy? With the increase in popularity of natural solutions, essential oils are being offered in more and more retail locations. Unfortunately, access doesn’t mean education. 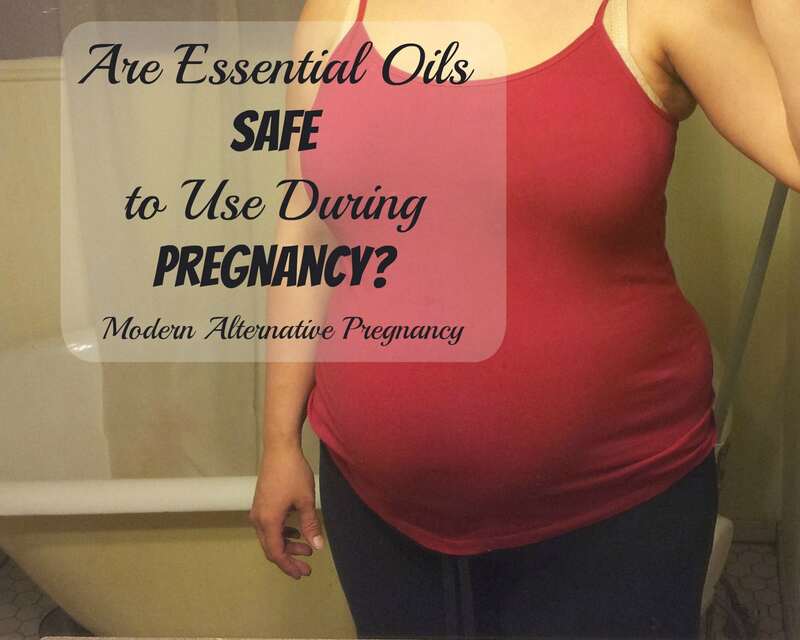 There are a lot of things that aren’t safe during pregnancy, what about essential oils? As with most things, the answer isn’t as cut and dry as we’d like it to be. But with a few considerations, some essential oils absolutely are safe to use during pregnancy. Not all essential oils are created equal. In fact, some of them aren’t essential oils at all. Essential oils can be adulterated in many ways. Synthetic fragrances can be added, or a high quality oil can be “cut” with a low quality oil, and in some cases the entire bottle is synthetic with no actual essential oil present. The first step in deciding whether or not to use essential oils to support your pregnancy is to source quality oils. Find a company you can trust with third party testing. Research their growing standards, harvesting procedures, oil production methods, and business practice. Find a product you can stand behind. There are a lot of great oil companies out there. 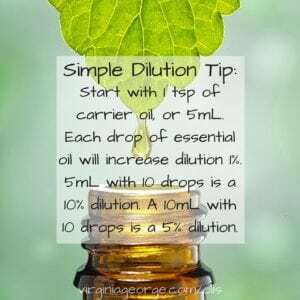 Essential oils can be used straight out of the bottle (neat) or diluted in a carrier oil. There are polarizing camps on the use of essential oils neat. 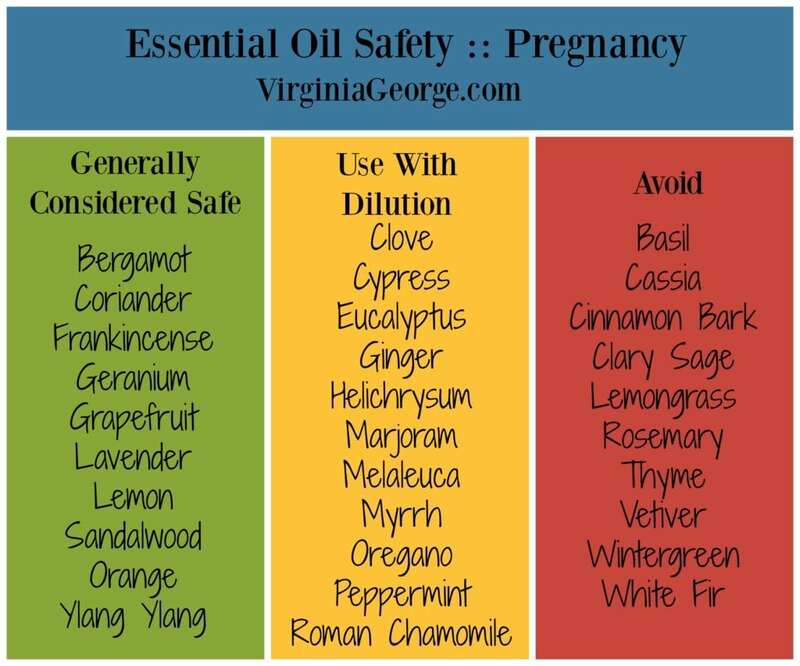 Regardless of where you fall on that spectrum, consider using essential oils diluted while pregnant. As a general rule, I keep my oils diluted to 5% or lower for kids and 10% or lower for adults. Others are even more conservative. Essential oils can be used topically or aromatically in a diffuser. When you are pregnant you may want to dilute your essential oils to a lower concentration, maybe even down to 1%, or use fewer drops in the diffuser. Above all, listen to your body and your intuition. If something feels uncomfortable, don’t do it. 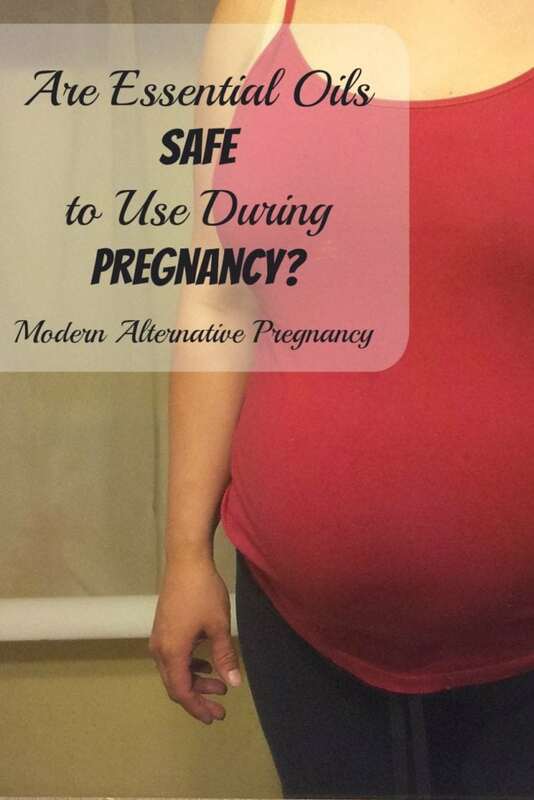 Once we take the proper safety considerations and choose quality and pure essential oils, and then dilute them to safe levels, there are essential oils that are safe, and even beneficial, to use during pregnancy. Lavender and peppermint essential oils make a great team for easing tension. Citrus oils like lemon, orange, and bergamot are great for lifting your mood. Frankincense and lavender are also great to promote a calm mental state, and ginger can be used to tame occasional nausea. Just as there are beneficial oils to use during pregnancy, others should be avoided. Clary sage, for example, will not put you into labor if you aren’t ready for it, but can cause contractions. As a general rule, avoid the essential oils like basil, cassia, cinnamon bark, clary sage, lemongrass, rosemary, thyme, vetiver, wintergreen, and white fir. Additionally, you may want to avoid peppermint in the late stages of pregnancy because mint is known to decrease milk production. Essential oils are powerful, potent gifts that we can use to support our health. With care, pregnancy is no exception! Have you successfully used essential oils throughout your pregnancy? What questions do you have about essential oil safety? Virginia is a firefighter wife and mother of 4. She loves Jesus, coffee, dark chocolate, essential oils, and inspiring women to love the Lord and themselves. Find her on her blog, Periscope, Instagram, and Facebook for encouragement in faith, motherhood, mental, and natural health. I was going to make a mosquito repellent with lemon and eucalyptus and a carrier oil. I’m not due till July and with the Azieka virus am going to have to live in bug repellent until then. Is this safe? Since eucalyptus is on in the middle column? I recently read that peppermint oil can help with nausea (I’m 5 weeks pregnant, this is my 2nd pregnancy, I miscarried with my 1st 5 months ago), I’ve been suffering from morning sickness. I didn’t know to dilute the oil until reading this, but the last couple of days I put a couple drops around my belly button and noticed a significant decrease in morning sickness and nausea, but now I’m concerned that I will have a miscarriage. I live in an area where holistic health care practitioners are non-existent. If possible, please advice! Thank you!